Violin, Piano, Guitar, Bass, Mandolin, Theory, Harmony. For all Ages and Levels. Serguei has been offering the finest in music instruction and performance since 1992. The studio specializes in private lessons tailored to the interests and abilities of each student. Private Music Lessons in Violin, Piano. Guitar. Bass-Guitar, Mandolin, Theory, Harmony for All Ages and Levels. For example a wedding music is a special part of your marriage ceremony. Music is all about feelings and a wedding represents the greatest of all our feelings - love. Therefore, the music you choose should reflect this. The most popular choice of wedding ceremony music is still classical. Classical musicians always add an air of romance and tradition to any wedding ceremony music. There are several different musical styles of classical music you may want to consider in selecting music for your Wedding ceremony. Pieces such as “Canon in D Major” by Pachelbel is arguably the most popular processional music for weddings. Solo Violin is violin performance with professional sound tracks-background music, sound of full orchestra or band. This is usually performed by Serguei Tchepournov-solo violinist. Sound system with adjustable sound level is provided. Duos like Violin and Piano, Violin and Harp, Violin and Cello are among the most popular instrumentation, often with the addition of a cellist or double bass. String quartets-two violins, viola, cello. Trios-violin, viola, cello, with combination of piano, harp, guitar, flute... Let us use our expertise to help you choose the perfect music and instrumentation. Therefore, the music you choose should reflect this. At the joyous union between two people, the wedding entertainment is one of the first priorities. A special wedding song accompanying the couples first dance is a moment they will treasure and a skilled violinist will evoke the power and emotion mirroring the love between the couple in every note. Toronto and GTA is one of the best city for classical and jazz musicians from all over the world. We all know that the sky is the limit when it comes to entertainment opportunities in Toronto. The high demand for musical events for all occasions and the abundant supply of musicians and bands make Toronto one of the best places where to look for great musicians. Consequently, this city’s great diversity makes it almost impossible not to find something that will perfectly fit into your event. When it comes to weddings, people tend to preserve the traditions within their culture, which implies a certain style of music for a certain event. Also, each culture follows a certain ritual when it comes to weddings, so a good place to start your journey in finding the perfect musicians for your wedding is to establish what parts your wedding is made of and where would you need a solo violinist, duo, quartet, piano, harp, cello, guitar... Regardless of the ethnicity, the culture, or the age group of the people that attend your wedding, the artists that serve this great metropolis will provide you with the perfect wedding music. A day You won’t forget. Violin Players members are usually very knowledgeable about the characteristics of the market they serve and adjust their repertoire based on the particularities of each and every wedding, party, reception, corporate event, birthday,anniversary. There is no such thing as two identical events and Violin Players know it very well. We will work with event planners, wedding coordinators, brides and grooms, and everyone else involved in the planning process to make sure that the celebration will be an absolute success, to the smallest detail. Everyone knows that the music is the salt and pepper of a wedding and everyone gets a little bit nervous when the time comes to take care of that task on the list. The countless challenges that a Violin Players based has to face in order to survive in this highly competitive market force the musicians to permanently adjust their practice in order to meet the needs of such demanding clientele. With an extensive experience in the musical world, a professional musicians form Violin Players will easily tailor its performance to match the atmosphere of any kind of ceremony or reception, even if more than one type of music is required for the same event. 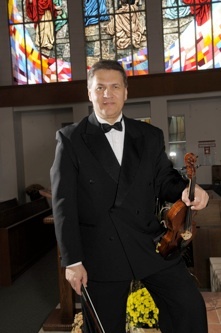 Violin Players play shows throughout the GTA region in various venues. The large exposure to the musical arena that the residents of GTA, has altered these people’s tastes and made them more sophisticated and demanding when it comes to ceremony and reception music in GTA. The abundant offer and competition in this particular market gave them power but, at the same time, made them more vulnerable. The variety of styles and the multitude of choices are immense and choosing a Violin Players can become an overwhelming experience. The idea of having many choices available at your finger tip is quite a tempting scenario, but making the actual decision may prove not to be as fun as it seemed to be at the beginning. You may even end up completely disoriented and realizing that you don’t know what music you actually want. This is possible because the extended practice and experience of professional wedding musicians gives them the ability to play almost any kind of music style one can imagine. Violin Players usually do not limit their experience to only violin music for weddings; they play violin in any band and for any occasion-parties, reception corporate events, this making them familiar with various music styles. Over time they also develop an extra sense for perceiving the audience’s dynamics and adjusting their performance accordingly, which will prove very useful in moments when the music is the only one that could save something that wanted to be an extraordinary event but it is about to turn into something boring. We all know that most of the times, the music is the one that makes an event and wedding musicians are very well aware of this. Live instrumental music is an essential ingredient to any memorable wedding day. Some my friends and I recently attended a wedding where the music was provided by a string quartet and a small band. The string quartet was made of two violins, one viola, and one cello. I know; when people think of a violin, they usually picture a concert hall where unless you are into the classical music, you will soon fall asleep. This was not the case here. This string quartet put together a beautiful repertoire for this wedding, and created a very romantic atmosphere with their beautiful, timeless music for the wedding ceremony, including prelude, processional, candle lighting, readings and recessional. Then, they added drums to this string quartet, and seamlessly and smoothly created a transition from the ceremony into the reception, performing swing, jazz, tango, Latin, and Celtic music. They included all pop classics or everyone’s favorite movie themes! It was unbelievable! I have learned that the violin is a magic instrument! All my life I limited the life of the violin to the classical world, but this wedding opened my eyes. A violin can be used for elegant solo violin music for wedding ceremonies; jazz, swing, tango, latin, and bossa novas for cocktail hours and dinner parties; as well as fiddle music, funk, rock, blues, latin, house music, celtic, and dance music for receptions, holiday parties, and corporate events, birthdays parties, anniversaries. The wedding musicians from a Violin Players can usually feature solo, duo, and trio combinations, according to your event’s needs. Even if you require different types of music for more than one event in the same celebration, Violin Players for weddings usually play the violin in any band and are able to tailor their musical performance to fit the mood, the atmosphere, and the nature of the ceremony you have. If you want a classical touch to your wedding ceremony you will be using a solo violinist for weddings. This way, the actual ceremony will be just the beginning of a charming evening that the guests won’t soon forget. Following the ceremony, the violin players can transform itself into a duo, trio or violin string quartet for receptions, bringing a touch of class to your after party. Then, with some other instruments such as a guitar,or a mandolin, or a piano, or a flute, or an electric guitar, Violin Players will invite you to an unforgettable night of joy, dance, and good disposition. This will ensure the guests have a good time and hopefully some laughs as well, all of which they will remember for years to com. A day You won’t forget.
. Music is a discipline, and a mistress of order and good manners, she makes the people milder and gentler, more moral and more reasonable." - Martin Luther.